Gutters are typically white, and over time the elements can cause the outside of the gutters to dull and become unattractive. To keep your home looking pristine, you should clean the gutters a couple of times each year to remove all of the bird droppings, mud and other things that can collect on the outside of the gutter. Keep in mind that harsh cleaners can damage your landscaping, so use cleaning solutions that are safe for plants and soil. Clean the outside of your gutters with oxygen bleach. Rinse off your gutters every few months to remove loose buildup, and also rinse to remove bird droppings as needed when you notice them. Mix 3 parts water and 1 part oxygen bleach in a bucket. 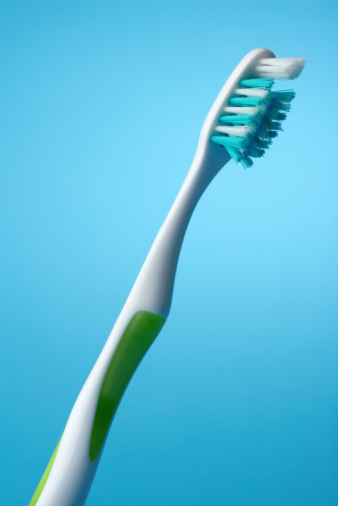 Dip a nylon scrub brush into the solution and gently scrub your gutters. Use a ladder if necessary, and remember not to rest on the gutters or apply too much pressure, as this can easily snap them off of their joints. 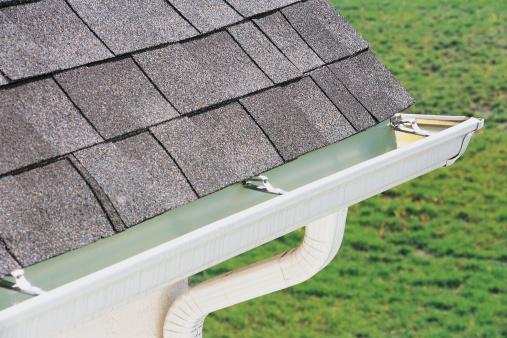 Continue around the home until all gutters are cleaned. Give the gutters a final rinse with your garden hose.